There are many types of RV Campgrounds and or just a plain RV Park available to the Rv’er. Who owns or manages them will typically determine the type for our discussion. In all “Government” cases, some are for “Day Use” only, while others may provide a camping area (tents only) with minimal services - all the way up to a full service campground for RV’s, Campers and Tenters with all utilities – each situation is strictly on its own merits. Many times their websites are NOT clear or easy to understand what is allowed. The FEDERAL Government is the largest land owner in the US and has all types of parks throughout the country. Depending on what type of land it is or how it came into government possession will determine which Agency is managing it. Some are Free, some minimum Fee, some offer discounts, some High Fee (usually with Utilities). National Park Service: Probably the best known parks throughout the country, as well as some lesser known beautiful areas! Army Corps of Engineers: They typically are assigned to an area that “usually” has some water and they will improve or manage it. Bureau of Land Management: They usually manage “open spaces/areas” in vast areas - usually out west, but can be anywhere! Military Bases: These can be extremely economical, but are restricted to Active/Retired Military only. STATE Government: These are usually historic areas, watersheds, reservoirs or land that the State acquired to slow down growth and preserve an area. Usually a “Parks and Recreation” section within a State website will help with getting necessary info. COUNTY/LOCAL Government: Very similar circumstances to a state area. Usually acquired to preserve an area and protect it. Again, the “Parks and Recreation” section of a county or towns website will help with needed info. Within the past few years, we are seeing more and more State and Federal Campgrounds/Campsites with FULL UTILITIES being added. This also then entails a typical per day fee similar to private campgrounds - actually, in direct competition then!! We are asking you to please let us know your thoughts about this in our survey, just below. 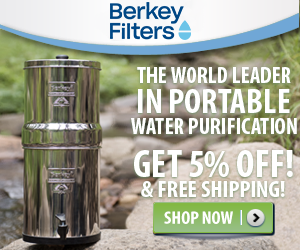 Bottom Line - do you think State and Federal Campgrounds should be installing full utilities, or should they stay as they are with perhaps a general dump/water site and leave the utilities to the private sector? If Full Utilities have been installed, you will have NO CHOICE - you must use and pay for a full utility site! Do You Want and Are You Willing to Pay Extra For Utilities in Fed/State Parks? Privately owned RV campgrounds will also have various levels of amenities, utilities and restrictions. Classic Campground: Many are owned by “Mom & Pops”. They will have a daily, weekly, monthly and even 6 month rate. The basic utilities are usually included – water & sewer. Electric may be included (or precisely metered), propane almost never (available for sale though? ), cable/telephone/internet are usually not. Free Wi-Fi is becoming more commonly available, but sometimes a small usage fee is charged. Some will also have a mix of permanent residences, as well. Rules of conduct are usually less restrictive. May or may not have a “clubhouse/gym/craft” area. Corporate RV Campgrounds: Usually more strict, will have more amenities (clubhouse/pool/etc.). Typically, they will own several in a region. Not a lot of difference between these and the “Mom & Pops”, except the rules will be more obvious and enforced more. Can be a little higher in fees? 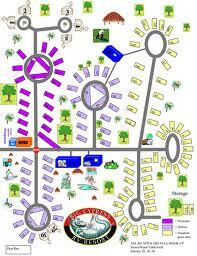 Membership Campgrounds: As in everything, there are various types of these as well. All of these types of campgrounds will have a contract to be reviewed and signed. 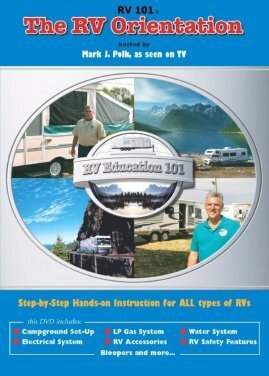 You, as the RV’er must comprehend and understand exactly what your rights and penalties are. For some RV’ers, this is an ideal arrangement; for others, it can become a nightmare to change from it. Very exclusive Perhaps with gated entry and allow only Class A RV’s. These can be public, but restricted to newer Class A’s only. Actual deeded lots. You would own the RV Lot and pay any utilities and a monthly Assoc Fee/Dues. If you are going to be away traveling in your RV, and therefore your lot is empty, some campgrounds will allow you to put that into a “Rental Pool” for possible sharing of income while you are away. 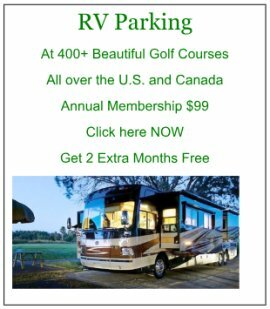 Timeshare type RV campgrounds. Typically, you will pay an “Up-Front Fee” to join the Association. This will allow you to park in one of their corporately owned campgrounds for a limited period of time. Some will not charge a daily fee; some will charge a much reduced fee. Usually you are restricted to length of stay and how many parks within the corporation you may visit within a period of time. Some of these RV Campgrounds restrict you to a region. These are the favorite spots of the “Boondocker” or traveler on a low budget. The best known place is a “Wal-Mart Parking Lot”. They are extremely RV friendly and know that if you park there, odds are you’ll purchase something there – win/win for everyone! Cracker Barrel Restaurants are another example of an RV friendly Corporation. Out in the western parts, Casinos are very friendly to RV'ers coming and parking for free. They will want you to go in and register, perhaps even get a "Casino Card", but the parking is free! Some will even have utilities or perhaps a dump/fresh water site. As a courtesy, you should always go in to their security office and check in with them. Many towns have been restricting “parking lot parking of RV’s” because of pressure from local RV Campgrounds. Many RV travelers are just looking for a safe & quiet place to park for the night, without all the utilities and amenities of a campground. Perhaps, someday, those local RV Parks will allow a reduced “Boondocking” fee in their campgrounds – again a win/win! No matter where you “Free Park” your RV, ask permission of the owner/manager and park as out of the way as possible while allowing room for a fellow RV’er to park there as well. 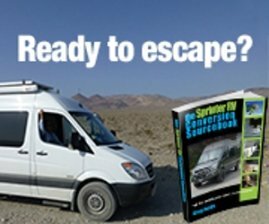 Boondocking concepts are discussed on our RV Boondocking page. Don't forget about Member Parking at Vineyards and Golf Courses. Where Was That RV Campground That You Just Loved! Found that perfect diamond in the Woods? Share your story, tip or review about the Best RV Campground that you love! Click on the links below to see some great reviews about RV Campgrounds. They were all written by other visitors to this page.